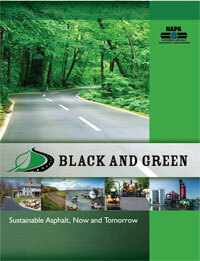 Black and Green: Sustainable Asphalt, Now and Tomorrow highlights the ways in which the asphalt industry’s everyday practices address climate change, improve air quality and water quality, provide green jobs, and reduce the carbon footprint of pavements. This 12-page report can be downloaded here. While environmental sustainability is the chief focus of the report, economic and social sustainability are also touched on. For example, the fact that asphalt is America’s most reused and recycled material has obvious environmental benefits such as conserving natural resources and reducing the need to acquire raw materials. Economic benefits of reuse/recycling include reducing the cost of roads to taxpayers. Combined with Perpetual Pavements, reuse/recycling contributes to social sustainability by allowing for roads to remain in service while they are being rehabilitated. This reduces congestion, improving quality of life by saving time. Reducing congestion also has the environmental benefit of cutting down on excess emissions that might have been generated by vehicles sitting in traffic. Smooth Pavements Save Fuel. Click here to see how and why Smoothness Matters. Experts say that vehicles consume less fuel when traveling on smoother pavements. This makes sense intuitively. And, lower consumption of fuel conserves natural resources for a healthier environment. 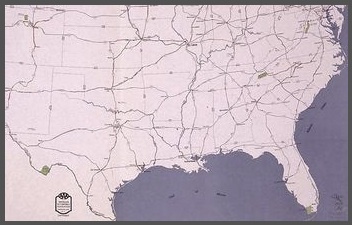 Our country has 2.5 million miles of paved roads. Since Americans drive many miles per year, just a slight change in fuel economy per vehicle would result in dramatic fuel savings conserving our natural resources and benefiting the traveling public. 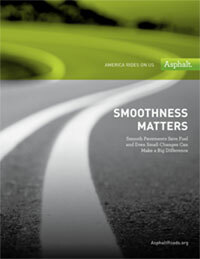 One compelling principle: Pavement smoothness is a significant determinant of vehicle fuel economy. The smoother the pavement, the lower a vehicle’s fuel consumption. While auto makers continue to make progress on improving fuel efficiency of the engines in the vehicles they manufacture, researchers and state transportation agencies are looking at additional ways to reduce emissions. One area of study is the influence that pavement smoothness (or conversely, roughness) has on vehicle fuel consumption. The bottom line: the right pavements can reduce fuel consumption. 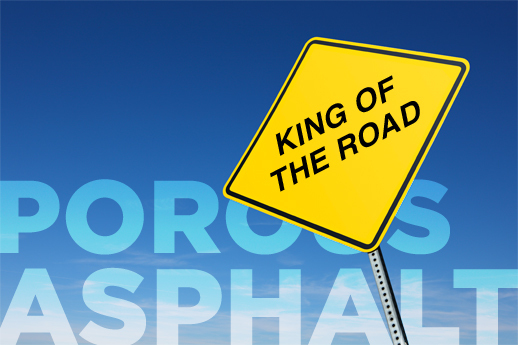 And the right pavements – the pavements that save fuel – are asphalt.